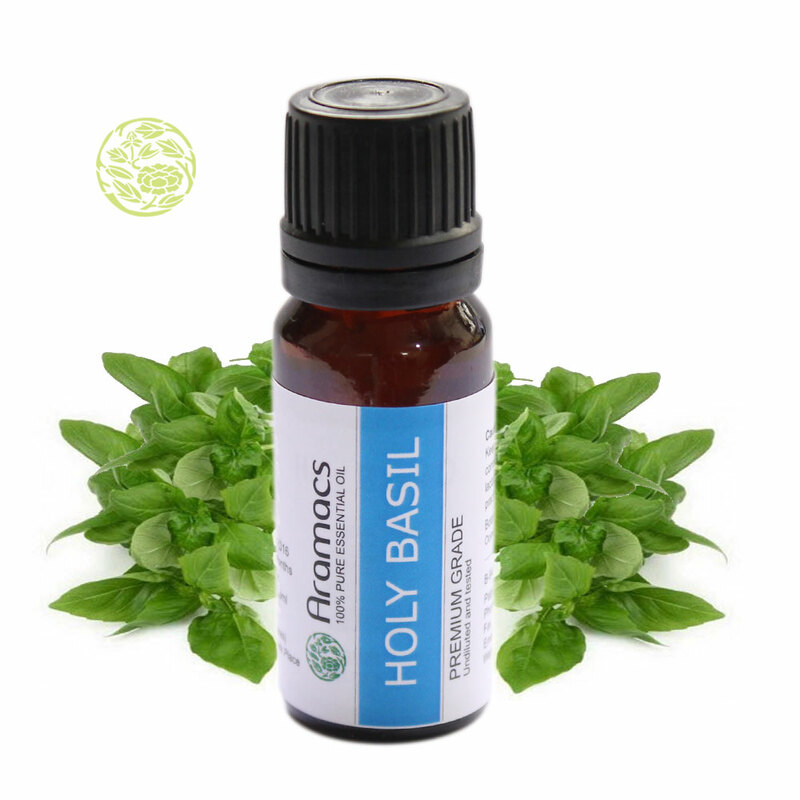 Holy Basil Oil - Pure Holy Basil Essential Oil - Where to Buy Holy Basil Oil? Part used: The parts of Tulsi usedgenerally are its leaves, dried roots and the seeds. 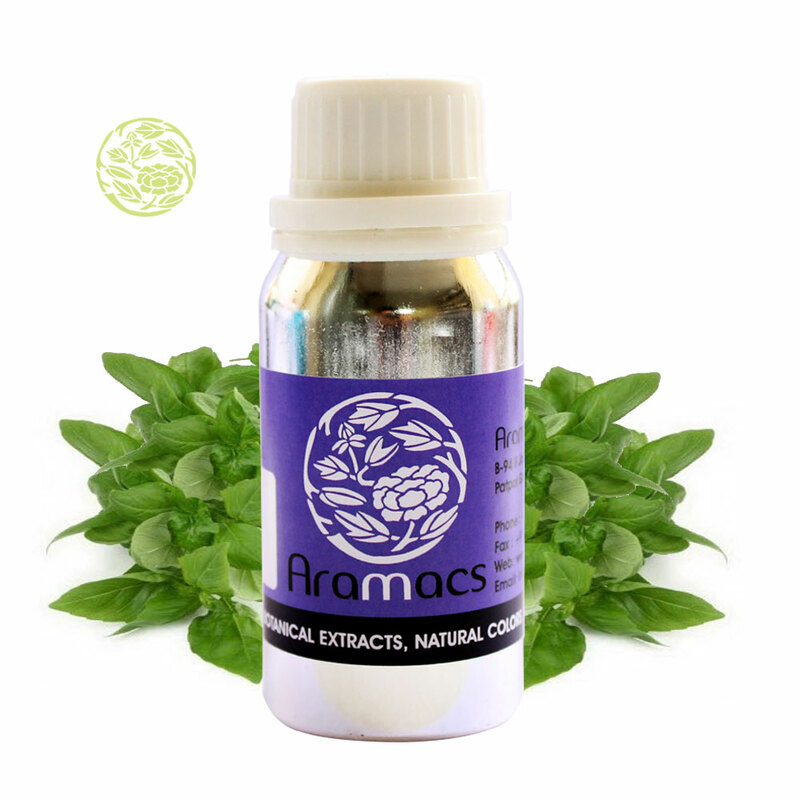 Blends Well With: It blends well with citrus oils and clary sage oils. Tulsi has a strong and purifying fragrance and it can be blended well with eucalyptus and conifers oil and this make the mixture sweeter and less spicy. It blends with citrus oils and florals, bergamot, clary sage, geranium, hyssop, lime, opopanax, oak moss and citronella. Uses: Tulsi oil is used for curing many diseases like common cold, inflammation, malaria, heart diseases and many more health problems. Tulsi oil contain many beneficial compounds and it possesses strong antioxidant, anti-bacterial, anti-viral, adaptogenic and immune boosting properties. Tulsi oil has the power to purify the atmosphere and it is widely used in Ayurveda. Tulsi oil is well known to promote long Ayurveda it is regarded as an “elixir of life”. There are three variants of Tulsi and those are Rama Tulsi, Krishna Tulsi and Vana Tulsi and each type has its own distinctive taste. Tulsi is regarded as the greatest heritage holy plant in India. It is aromatic perennial shrub that is widely cultivated all over India. Tulsi is a small, erect, branched herb growing from 30 to 100 cm (1 to 3 feet) tall. The plant is adequately resilient and it can be grown on any type of oil except the ones with highly saline, alkaline or water logged conditions.However, sandy loam soil with good organic matter is considered ideal. The crop has a wide adaptability and can be grown successfully intropical and sub-tropical climates. Long days with high temperature have been found favourable for plant growth and oil production. History of the Plant: As per the ancient therapeutic system of Ayurveda, Tulsi is considered a"sattvic" plant, which maintains pleasant balance inside the body and there by produces virtue and joy. Tulsi can be especially helpful for problems caused by Kapha. The mention of Holy Basil plant or the Tulsi has been sacrosanct in India for thousands of years and the plant is considered as the incarnation of the Hindu God Vishnu. The mention of the plant is there in many of Hindu mythological stories related to Lord Krishna and Goddess Lakshmi, the goddess of prosperity. The plant is still seen in the courtyard of Hindu families in India and the plant is worshipped before the daily routine starts. Extraction Process: The oil is extracted using the steam distillation method and plant part used are leaves and flowering tops. Tulsi’s effects are warming, clarifying and uplifting and it promotes the vitality for the whole family and hence it should be always kept handy. It is good for congestion and is ideal to be kept handy when you have children at home. 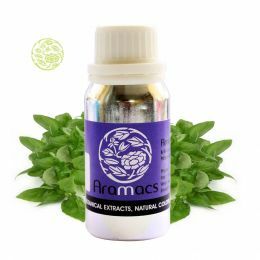 The perfumery note of Tulsi oil is middle or top note and the odour is sharp,fresh, sweet-spicy, camphor like, herbaceous-minty and licorice like.